An increasing number of entrepreneurs are appreciating the significance of Google in their marketing strategy. Consumer behavior shows that the search for quite a number of goods and services usually starts with an online search. Such steps as physically visiting an office or a store usually comes after a perusal of the online searches and reviews. In fact, quite a number of people do the majority of their shopping needs using the various online platforms. If well used, Google provides ample advertising opportunities that a business can exploit. However, this requires a comprehensive market research on the same as well as learning the most feasible ways of using the giant search engine. Furthermore, one ought to understand how to outrank the others who are in the same industry or niche. In this regard, exploring the various advertizing opportunities provided by Google is a matter of paramount importance. A mobile friendly website ensures that the website is accessible in a quick way in order to save time. Optimizing your website translates to a greater chance of capturing the attention of the online visitors. There has been an increased use of smartphones. As with the case with many technology gadgets, smart phones are going to become cheaper with time. Therefore, business owners should make use of such opportunities in order to widen the client base. In addition to that, mobile friendly websites can make use of GPS. This can be used by the to search for the necessary directions and even search for necessary things. Starting on April 21st, Google announced that it was launching the use of Mobile friendly sites as a ranking signal. This is aimed at all languages and not just English. Whereas the giant tech company will not penalize the websites that are not mobile friendly, it will affect the ranking of your websites all the same. In other words, websites that are mobile friendly will have an added advantage when it comes to the ranking criteria. Mobility has provided better search results for online users. Its innovative and new technology has translated to a longer time that online users take on the internet. By extension, it has widened the opportunities that businesses have at their disposal as far as marketing is concerned. Having mentioned that, the SEO landscape is going to change by far. Search Engine Optimizers will have to seek ways of making sure that their website is optimized. Failure to do so will translates to being outranked by other websites that are offering the same goods and services. The more useable a website is, the higher the number of online visitors, and consequently the higher the chances of conversion. Business owners will have to employ advanced strategies that will make their website relevant in the contemporary highly competitive market. 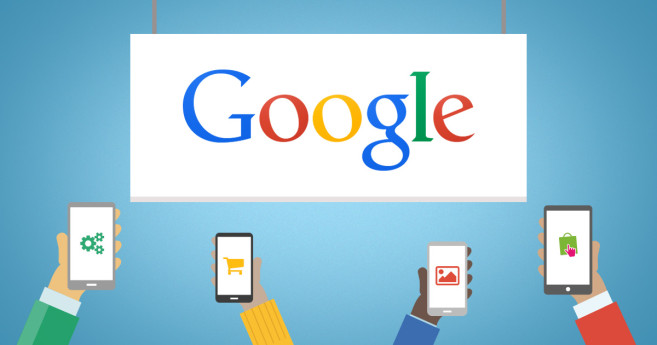 How Mobile The advantages and benefits of using Google AdWords over traditional Mail outs. One of the most profound features of Google AdWords is that it has the ability to communicate in a precise way to the targeted group of people. It uses the pull advertising model (which is unlike pop up windows which are seen to be intrusive and a nuisance). Having said that, business owners should run ads that are in line with the consumer needs. Another advantage of Google AdWords over the traditional mail outs is that Google AdWords are not expensive more so for small and medium sized businesses. Google does not dictate on the business owners about the amount of money that they have to spend on Google AdWords. It is the businesses that choose a viable and sustainable ads option that is in line with their corporate needs and preferences. Direct mailing options are still being used by some companies. This is more so on cases where some consumers do not have computers or cannot access the internet. But what a business should put into perspective is the fact that such advertising strategies are used by a very small section of the consumers. Moreover, Google AdWords have the ability to attract customers instantly. The use of Google AdWords is very significant when it comes to market research and analysis. A combination of the AdWords and Analytic accounts can be used as a vital source of business information. Thus, a business can carry out a thorough market analysis based on various variables such as gender, age, and geographical location. Lastly, Google AdWords can be used in location targeting. This refers to the sale of product and services in a particular location. It should be noted that a significant number of online users look for products and services that are based in a certain location, computer repair services in Los Angeles for instance. The role of the search engines in determining business opportunities cannot be underestimated. In particular, Google has commanded a very strong share in the search engine sector. Consequently, businesses can only ignore Google at their own peril. In fact, the use of Google is indispensable in the modern day business landscape. Similarly, the use of mobile friendly websites is highly recommended by Google. Consequently, businesses should take note of that and modify the old structural of their websites in tandem with the recommendations of Google. There is all the likelihood that the use of mobile friendly websites is going to increase in the near future. Similarly, businesses are going to be more aggressive in exploiting Google business opportunities. Overall, Google plays a very critical in the success of the marketing strategy of a business. Our powerful search engine optimization blogging software was built to maintain your own blogging success. Using our front & back-end system you can publish articles to your website with a couple clicks of a button. Also supports features like create navigation and categories, adjust design, add widgets such as stars rating, social share buttons, comments and more. Call (863)409-1734 and schedule your 1 hour free consultation! Back end systems support the company's back office. This system securely collects input from users or other systems for processing online, which is made available anywhere on any device, phone, or tablet.. I've had maybe 8 websites built for me over the past decade or so and I've finally found a designer who knows what he's doing! I love these guys and highly recommend their services to anyone looking to take their business to the next level. Thanks Lakeland Marketing Pros! Love you guys! I have been using Lakeland Marketing Pros for over a year and I could not be happier with the results. I do not know what Ruben does with my SEO and Internet marketing but I can tell you my phone has been ringing off the hook ever since we started together. It is definitely the best marketing money I spend. I highly recommend Ruben and Lakeland Marketing Pros. Call 863-409-1734 For Your FREE 1 Hour Development Consultation. Our goal for 2018-2019 is to make our customers really stand out of the crowd. Our quality sites, and powerful optimization will make you look like the million dollar service that your company provides.